Our drop dead gorgeous fishtail gown. With a grand statement flair at the bottom using a combination of soft and harsh tulles to get that striking feature. Her bodice is heavily beaded on its applique lace with crystals and pearls. She has a dramatic V cup shape and back with soft tulle off shoulder straps. 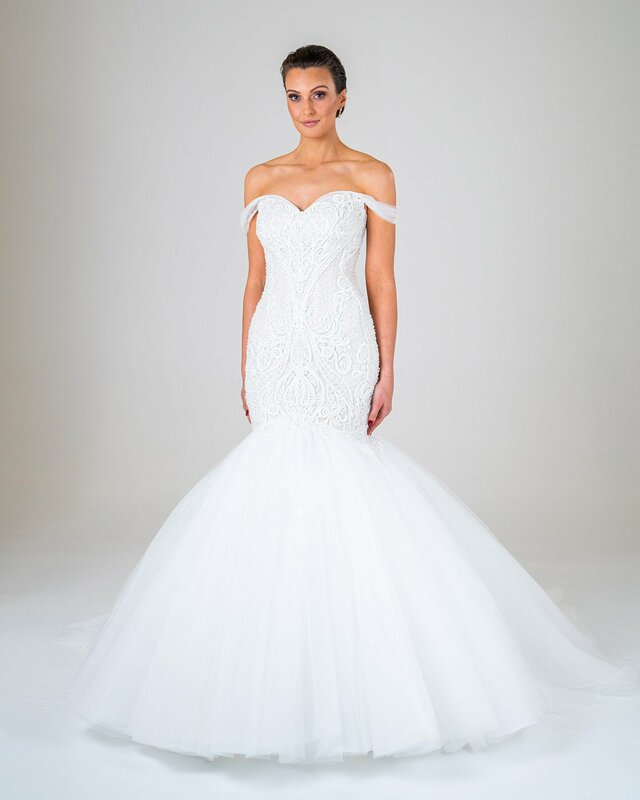 As with all our gowns any design changed can be made such as strapless, princess skirt, spaghetti straps, high neck, long sleeves, smaller/longer train, less flair or different flared design, less or no beading, a variety of colours, interchangeable lace and more.